We operate a cashless system in our Dining Room which means that pupils cannot pay with cash at the tills. Instead students load credit onto their accounts, and then when they have made their food choices in the Dining Room, the tills deduct the total cost from their account balance. 1) Parents/Carers can pay for school meals with their credit or debit card on the ParentPay website, anywhere and anytime they have access to the internet. If you need help setting up a ParentPay account then please contact the school Administration team by telephone on: 0161 881 9448 and they will be pleased to help you. There is also more information on ParentPay on this website under the Parent/Carer tab. ParentPay is our preferred way of paying, as it means students do not have to bring cash to school and cuts our administration costs. 2) Students can make cash payments into the automatic cash revaluation machines situated in the lobby outside the Dining Room. The machines will not accept 1p, 2p or 5p coins or £50 notes. 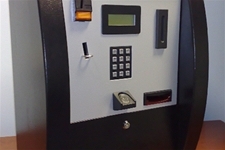 To use the machine the student simply places their finger on the scanner; a display will show the student’s name, tutor group and current cash balance held within the system. The student then puts the cash into the machine, presses a button and the cash will be added onto their account. Our tills use Biometric technology. When the student starts school (or sets up their Dinner account if this is later) an image of their index finger will be taken and then converted into a unique number associated with their personal account. It is this number that will be stored on our records and the actual finger image will be discarded. The numerical information is securely stored by school and cannot be used to recreate your child’s finger image. In the Dining Room, the student selects their food choice and then the Catering Assistant asks them to place their finger on the till scanner. The till will read their finger and match it to their account, and then deduct the cost of their purchases from the account balance. The student’s balance is not allowed to go overdrawn. The maximum spend per day is set at £4, but this can be changed on request from Parents/Carers if they are concerned that their child is spending too much at once. You can see what your child is buying in the Dining Room by checking your ParentPay account. The system works exactly the same for all pupils so that Students entitled to FSM are not made to stand out in any way. Each lunchtime, the till system will automatically credit the student’s account with the price of a Free School Meal; any unused amount will be cleared at the end of the day. Students entitled to FSM can also top up their account with additional funds so that they can make purchases at mid-morning break or spend more than the FSM entitlement. If you do not wish your child to use the biometric system, please contact the school office and we will provide a card so that your child can use the Dining Room. Please note, the first card is issued free but there is a charge of £10 for replacement cards. 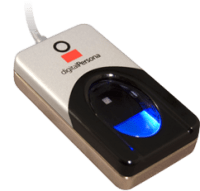 When your child leaves Loreto High, or if you wish to opt out of the Biometric System at any point, his/her biometric data will be permanently deleted. If you would like to discuss this in more detail, please contact the school. For the sake of clarity, biometric information is information about someone’s physical or behavioural characteristics that can be used to identify them. There are many possible biometrics, including for example, a digital photograph, fingerprint, or hand shapes. As part of our identity management systems, we will record a biometric measurement taken from a finger, but not a fingerprint image. The information is stored in a highly secure database and will only be used by the school to confirm who is using a range of services.